Belt your best rendition of “Danny Boy” out the window as you hit the highway toward Ireland’s West. Appropriately whimsical in its nomenclature, the quaint coastal village of Dingle is your first stop, and the gateway to its eponymous peninsula. Feel the northern breezes blow across the sandy spit at Inch Beach, then relax at one of the cottage-sized cafés in town. Don’t miss out on a heaping portion of locally made Murphy’s Ice Cream (MurphysIceCream.com) – two scoops of sea salt is everyone’s favorite. 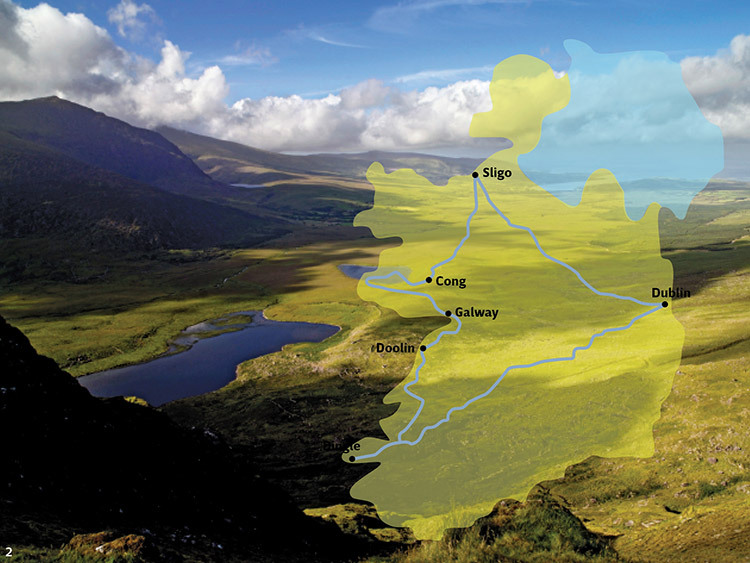 Follow the coastal road around the Dingle Peninsula (our preferred scenic route to the heavily touristed Ring of Kerry farther south), then zip through Conor Pass, which cuts between a seemingly impenetrable pair of mountains. Hop on the ferry at Tarbert – you may see dolphins – then continue up the coast to Doolin, another picturesque township that hugs the windswept shoreline. This three-pub settlement is famous throughout Ireland for its folk music – seeking someone out is a great way to spend the night after a long day of driving. Leave your vehicle in Doolin and explore Ireland’s iconic Cliffs of Moher by foot. As you wander south along the coastal footpath, the scrubby hills crescendo into a dramatic rock face that plunges into the crashing sea below, offering beautiful views of the Aran Islands. You’ll know you’ve reached the end of the trail when a massive visitor center appears as if from nowhere. Hail a taxi back to Doolin and set your sights on Galway, farther north. 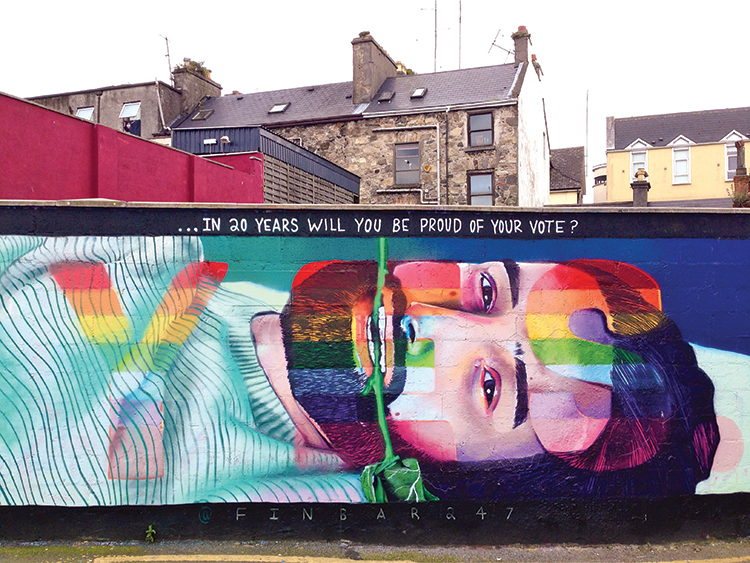 The unofficial cultural capital of Ireland’s West, Galway blends a palpable artsy vibe with legions of curious tourists. A college town through and through, the city offers up a worthy selection of nightlife near the waterfront. Don’t miss a fresh fish dinner at Oscar’s Seafood Bistro (OscarsBistro.ie). Take the long way to your next pit stop – the scenic route through Connemara National Park. 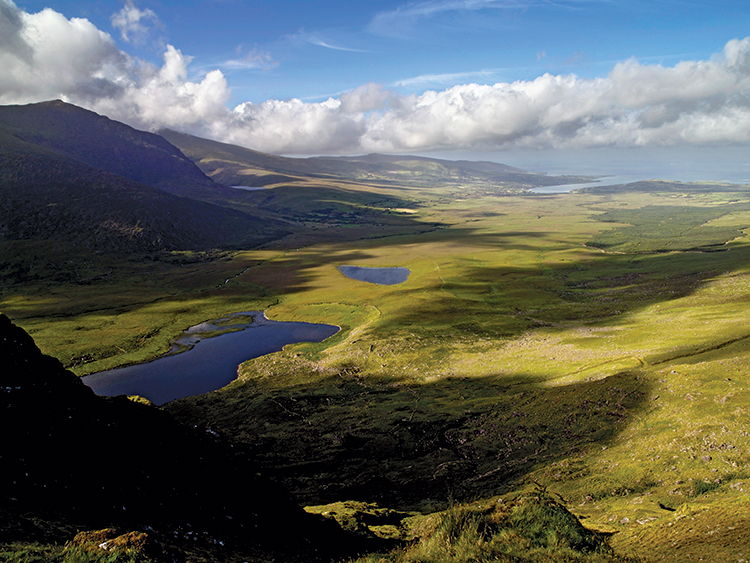 A mist-swathed realm of hidden lakes and craggy coasts, Ireland’s most ethereal preserve culminates in the Sky Road, a loop that winds through the most stunning cottage country on the planet. As the road curls back toward Cong, stop at Kylemore Abbey – a veritable stone fortress, tucked beside a riverine fjord, that still functions as a nunnery. 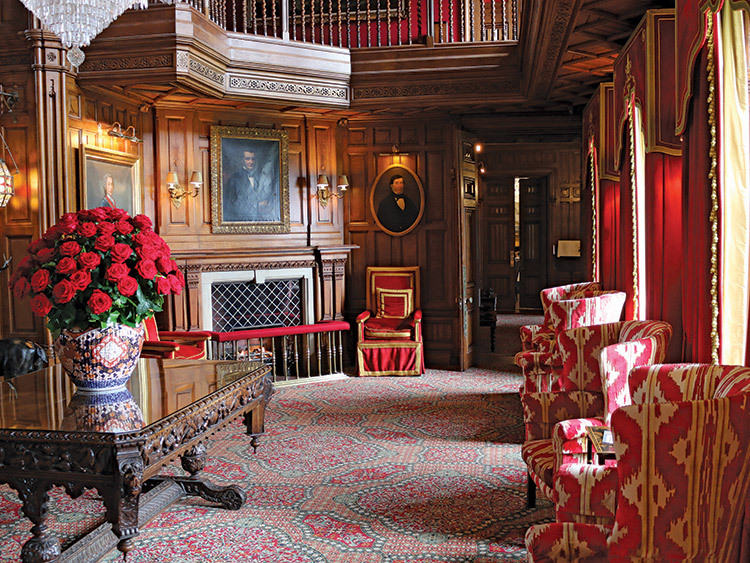 Continue to Ashford Castle (AshfordCastle.com), which – after a lengthy renovation – rightfully claims the title of Ireland’s most special stay. Tour the gardens, and enjoy a cocktail in the Prince of Wales bar, followed by the estate’s signature five-course tasting menu in the George V dining room. Enjoy a leisurely breakfast at the castle followed by a visit to the on-site School of Falconry (Falconry.ie). 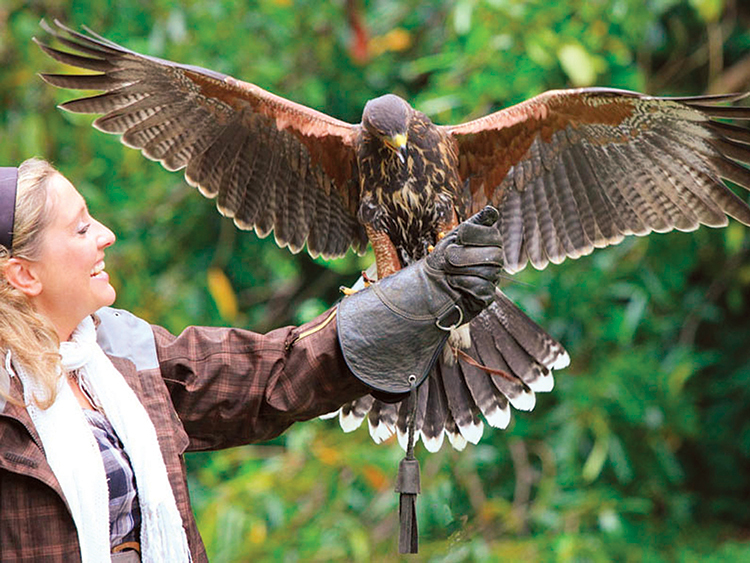 During a private session with a falconer you’ll have a chance to hunt in the surrounding forests with one of the academy’s legendary birds of prey. In the afternoon, drive north toward Sligo and head to the city’s seaside suburb of Strandhill for a detoxifying seaweed bath at Voya (VoyaSeaweedBaths.com), the well-known Irish spa that’s responsible for most of the ecologically sensitive beauty products found in hotels around the country. A 50-minute soak in the sea foliage, which locals have been using as a home remedy for ages, leaves your skin as smooth as a dolphin’s. Sip your morning coffee at Shells Cafe (ShellsCafe.com), then hit the waves for a chilly surf lesson (WavesweeperSeaAdventures.com) on the nearby beach. 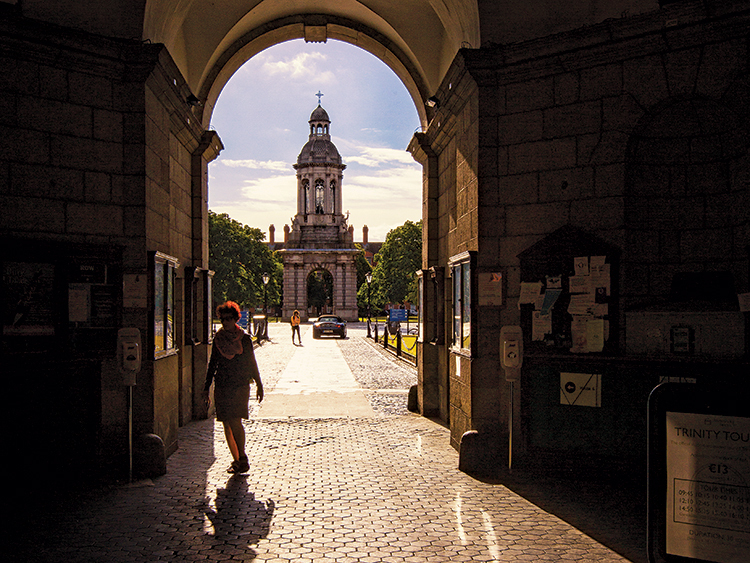 Head back to Dublin, where you’ll enjoy an afternoon exploring Grafton Street and the neighboring Trinity College. In the evening, grab drinks and a bite at the Front Lounge (TheFrontLounge.ie), P. Mac’s (28-30 Stephen St. Lower), or La Cave (LaCaveWineBar.com), or hide away in the lap of luxury at the impressive Merrion Hotel (MerrionHotel.com).